Records only show ‘R250 000 from VBS to buy a table’ at the ANC’s 106th birthday. The ANC was hard-pressed to explain yesterday how it would deal with allegations that the party received R2 million from the corruption-ravaged VBS Mutual Bank. Yesterday, the Sunday Times reported it had seen WhatsApp messages suggesting it was Cooperative Governance Minister Zweli Mkhize, ANC treasurer-general at the time, who solicited the “donation” from VBS in exchange for assistance in raising money from municipalities and state institutions. 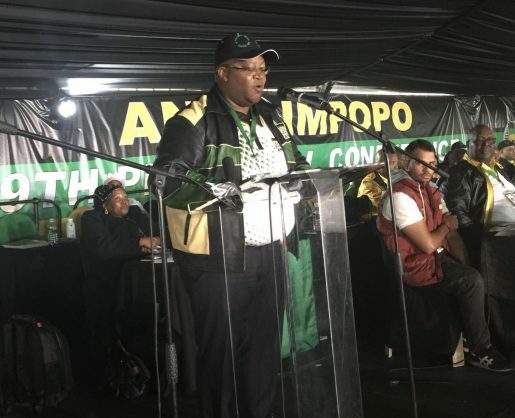 While the ANC told the paper it would launch an investigation into the allegations, it said its records only showed an amount of R250 000 it received from VBS to buy a table at its 106th birthday celebrations in East London earlier this year. Several ANC-run municipalities and their officials were named in an explosive report earlier this month, commissioned by the South African Reserve Bank into the bank’s alleged looting. The party called for swift action against those named and implicated in the report by law enforcement agencies – but has yet to take action against members. The officials named included ANC Limpopo treasurer Danny Msiza, who allegedly received gratuitous payments from the bank. The report found the large sums of money VBS received from municipalities as investments were the result of gross abuses of power by VBS executives. It was also part of a R2 billion corruption scheme involving the payment of bribes in exchange for “investments into the bank using public officials who were in a position to influence the making of such deposits”. Asked whether the party’s ethics committee had questioned ANC members named in allegations, ANC spokesperson Pule Mabe said he was “in consultation” and would “revert” to The Citizen shortly. At the time of going to press, he had not. Official opposition leader Mmusi Maimane called on President Cyril Ramaphosa to ensure the ANC paid back the R2 million it allegedly gained from VBS. “Revelations that the ANC allegedly profited to the tune of R2 million via a ‘donation’ from VBS Bank towards its election campaign illustrates to the people of SA the true nature of the ANC.